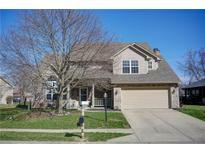 Below you can view all the homes for sale in the Mc Farland Farms subdivision located in Indianapolis Indiana. Listings in Mc Farland Farms are updated daily from data we receive from the Indianapolis multiple listing service. To learn more about any of these homes or to receive custom notifications when a new property is listed for sale in Mc Farland Farms, give us a call at 317-973-0966. Master bedroom on the main floor with bay windows, 2 story great room, hardwood flooring, center kitchen island, 2 kitchen pantries, gas fireplace, updated cabinets just adds to more charm and character to this one! MLS#21632038. Keller Williams Indy Metro S.
What more could you ask for? MLS#21629353. Esquire Real Estate Group LLC. Neighborhood features a pool, basketball, tennis courts, & a playground. 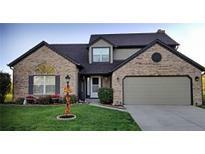 MLS#21628683. F.C. Tucker Company. From the Inside out, this Home has it ALL! Home Warranty Included! MLS#21625769. 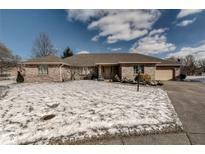 Keller Williams Indy Metro S.
Furnace 2013, appliances stay; great gas stove! MLS#21617713. Your Realty Link, LLC.